This week the Securities and Exchange Commission (“Commission”) announced it deemed it necessary and appropriate for the protection of investors that public administrative proceedings be instituted pursuant to Section 12(j) of the Securities Exchange Act of 1934 (“Exchange Act”) against six issuers, The Bank Holdings, Community Valley Bancorp, Genemen, Inc., GWS Technologies, Inc., Homeland Precious Metals Corp., and NuRx Pharmaceuticals, Inc. In the past two years, the Commission has revoked and/or suspended more than 1000 issuers involved in corporate hijackings. Often times the persons involved in corporate hijackings file fraudulent pleadings and conceal criminal convictions and FINRA and SEC disciplinary histories from relevant state courts in order be appointed as a receiver or custodian. Once appointed, the hijackers engage in a trail of fraudulent and illegal transactions in order to receive the profits from a reverse merger transaction. 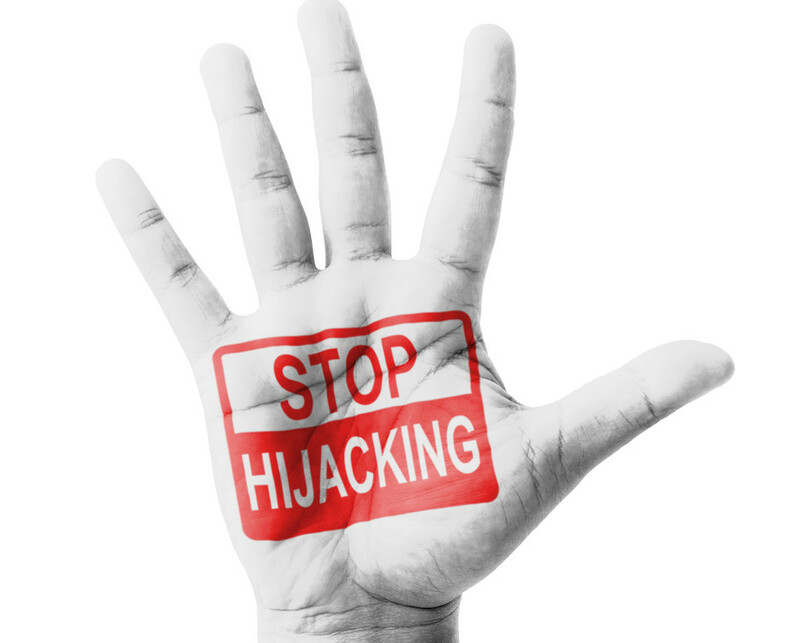 Most of the corporate hijackings suspensions involved dormant and/or inactive tickers and were issued to prevent illegal custodianship and/or receivership hijackings. Purchasers of the hijacked public shells are often unaware that the vehicle was hijacked. Even after a change of control occurs, the purchaser of the public shell may find the company subject to DTC Chills and global locks as well as SEC enforcement and other legal actions. The Bank Holdings (CIK No. 1234383) is a revoked Nevada corporation located in Reno, Nevada with a class of securities registered with the Commission pursuant to Exchange Act Section 12(g). The Bank Holdings is delinquent in its periodic filings with the Commission, having not filed any periodic reports since it filed a Form 10-K for the period ended December 31, 2009, which reported a net loss of over $45 million for the prior twelve months. As of May 29, 2014, the company’s stock (symbol “TBHS”) was quoted on OTC Link (previously, “Pink Sheets”) operated by OTC Markets Group, Inc. (“OTC Link”), had seven market makers, and was eligible for the “piggyback” exception of Exchange Act Rule 15c2-11(f)(3). Community Valley Bancorp (CIK No. 1170833) is a California corporation located in Chico, California with a class of securities registered with the Commission pursuant to Exchange Act Section 12(g). Community Valley is delinquent in its periodic filings with the Commission, having not filed any periodic reports since it filed a Form 10-Q for the period ended June 30, 2010, which reported a net loss of over $5 million for the prior six months. As of May 29, 2014, the company’s stock (symbol “CVLL”) was quoted on OTC Link, had six market makers, and was eligible for the “piggyback” exception of Exchange Act Rule 15c2-11(f)(3). Genemen, Inc. (CIK No. 1361951) is a revoked Nevada corporation located in Reno, Nevada with a class of securities registered with the Commission pursuant to Exchange Act Section 12(g). Genemen is delinquent in its periodic filings with the Commission, having not filed any periodic reports since it filed a Form 10-Q for the period ended February 28, 2010, which reported a net loss of $138,598 since the company’s February 9, 2005 inception. As of May 29, 2014, the company’s stock (symbol “GNMN”) was quoted on OTC Link, had three market makers, and was eligible for the “piggyback” exception of Exchange Act Rule 15c2-11(f)(3). GWS Technologies, Inc. (CIK No. 1365983) is a void Delaware corporation located in Scottsdale, Arizona with a class of securities registered with the Commission pursuant to Exchange Act Section 12(g). GWS Technologies is delinquent in its periodic filings with the Commission, having not filed any periodic reports since it filed a Form 10-Q for the period ended January 31, 2010, which reported a net loss of over $1.3 million for the prior three months. As of May 29, 2014, the company’s stock (symbol “GWSC”) was quoted on OTC Link, had seven market makers, and was eligible for the “piggyback” exception of Exchange Act Rule 15c2-11(f)(3). Homeland Precious Metals Corp. (CIK No. 1289634) is an Alberta corporation located in Las Vegas, Nevada with a class of securities registered with the Commission pursuant to Exchange Act Section 12(g). Homeland Precious Metals is delinquent in its periodic filings with the Commission, having not filed any periodic reports since it filed a Form 20-F for the period ended March 31, 2010, which reported a net loss of $66,742 for the prior twelve months. As of May 29, 2014, the company’s stock (symbol “HPMFF”) was quoted on OTC Link, had four market makers, and was eligible for the “piggyback” exception of Exchange Act Rule 15c2-11(f)(3). NuRx Pharmaceuticals, Inc. (CIK No. 1174228) is a revoked Nevada corporation located in Los Angeles, California with a class of securities registered with the Commission pursuant to Exchange Act Section 12(g). NuRx Pharmaceuticals is delinquent in its periodic filings with the Commission, having not filed any periodic reports since it filed a Form 10-Q for the period ended June 30, 2010, which reported a net loss of over $4.26 million for the prior nine months. As of May 29, 2014, the company’s stock (symbol “NUXP”) was quoted on OTC Link, had six market makers, and was eligible for the “piggyback” exception of Exchange Act Rule 15c2-11(f)(3). According to the SEC, the issuers repeatedly failed to meet their obligations to file timely periodic reports, and failed to heed delinquency letters sent to them by the SEC’s Division of Corporation Finance requesting compliance with their periodic filing obligations or, through their failure to maintain a valid address on file with the Commission as required by Commission rules, did not receive such letters. The Securities Exchange Act and the rules promulgated thereunder require issuers of securities registered pursuant to Securities Exchange Act Section 12 to file current and accurate information with the Commission in annual and quarterly reports. In view of the allegations made by the SEC’s Division of Enforcement, the Commission deems it necessary and appropriate for the protection of investors that public administrative proceedings be instituted to determine whether the allegations are true and to afford the Respondents an opportunity to establish any defenses the allegations and determine whether to suspend or revoke the registration of each class of securities registered pursuant to Section 12 of the Exchange Act. The issuers have ten days to file an answer to the Commission’s allegations.